As you might have guessed by my clumsy English, I’m not exactly a native speaker. In fact, I’m from Italy. 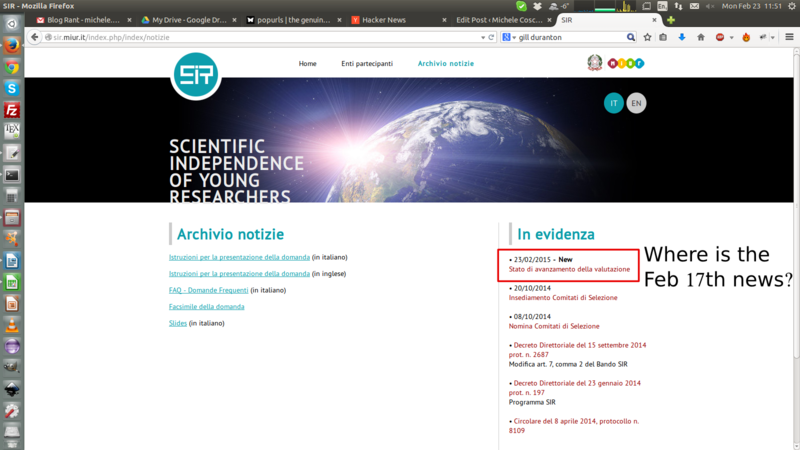 Italian researchers seem to have quite a knack for propelling themselves out of their home country, more than your average researcher from a first-world country. This is because basic research is mostly publicly funded – in Italy the private sector has no patience for something that takes a lot of resources and time, and has a high failure chance – but historically the Italian government never understood that research, eventually, always pays off. For this reason, public research funding has been cut whenever there was the possibility, being judged as an expenditure without returns. Academic careers have been made harder, contracts for researchers shorter. It was with great hopes, then, when last year we saw a change in trend. A new program, called “Scientific Independence of young Researchers” (SIR) was launched. And it looked great. The total budget of SIR almost reached 50 million of euros. SIR welcomed projects from all disciplines. Each project could be awarded up to a million euros. The two-phase review process had been modeled on the best practices of the European community. Every Italian researcher currently working abroad would have been salivating just by looking at it. And just like 5000 others, I did too. Before March 13th 2014, the project submission deadline, I submitted my application. That’s when this train wreck started to happen, in a slow-motion that would fit the most cheesy Michael Bay action flick. As you might have noticed, today is February 26th, 2015. In about two weeks, we’ll celebrate one year since the submission deadline. As of today, SIR hasn’t gotten back to me about my project. This alone is a piece of information that makes me and, presumably, all other applicants fuming with rage. The reasons why this utter disaster is developing in front of us are even more absurd. I didn’t research them carefully, as they are only tangentially related to my point, but I’ll loosely translate from this article. The sensual promise of a “European quality” peer review was based on the idea of asking the European Research Council (ERC) to help with the nomination of the review committees. SIR claims to have reached out to the ERC on February 25th, 2014, one month after they published their call for projects. 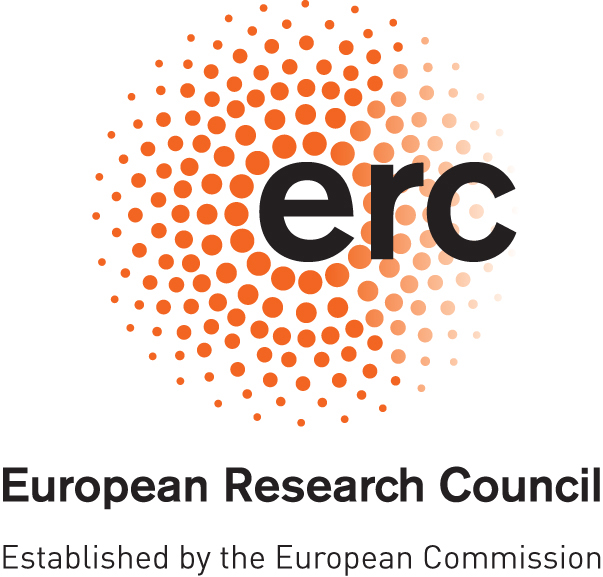 On July 16th, it became clear that the ERC had declined to help, because this sort of thing was not part of their mission or budget (you can read the ERC reply to a concerned researcher who wrote them on July 2014, interestingly enough they claim to have warned SIR well before the call was published). Coincidentally, this is also the time in which SIR claims that the ERC got back to them. SIR appointed its own review committees on October 8th and started working on October 20th, as published on the SIR website*. So long to the “European quality” peer review process. To sum up: SIR claims to be able to use ERC reviewers, while this is not true. They are so adamant about this claim that they published the call and they checked it only after a month, while ERC already told them before that it was not possible. Next, SIR ignores the problem and goes into oblivious lethargy for 4 months. The sleepy not-so-beauty wakes up and it takes another 3 months to nominate the committees. The committees “work” for 4 months with no completed reviews in sight. And we are talking about the first phase of review. God only knows how the second phase will go. Even when it tries, the Italian government does not understand how research works. I’ll spell it out for them. A researcher (hell, any sort of job-seeker) never sends out only one application. It wouldn’t be rational, as any single shot has very low chances of success. If an organization takes a year to reply, everybody who could go somewhere else did. Marie Curie grant applications were due on September 11th and final jury/committee decisions were sent out on February 4th. Less than 5 months and we got a final answer. Everybody who submitted both SIR and Marie Curie, and got a Marie Curie grant, will accept the latter. Everybody who submitted both SIR and anything else, and got into anything else, will accept that anything rather than the SIR offer, assuming for the sake of the argument that SIR will ever make one. This tragicomedy will end in the least bad case scenario with Italy handing over almost 50 million Euros to C-rated projects, because if a project was any good it would have been accepted anywhere else before. In the worst case scenario, this will be a contest in which everybody loses. Even worse, researchers for whom 2015 was the last year in which they fit the requirements to apply, are effectively booted out of the contest. I don’t want to make this a political issue. This post isn’t pro- or anti- government. 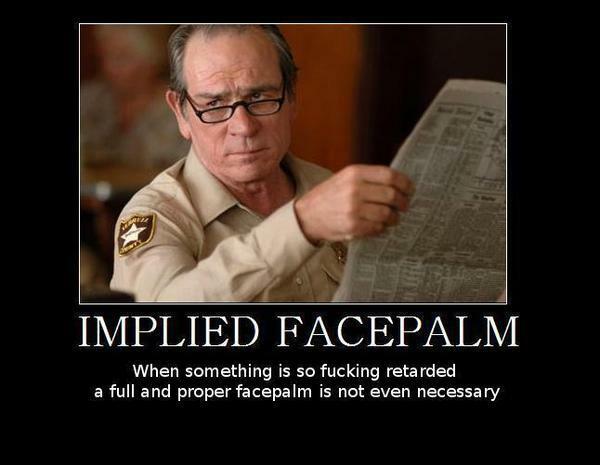 My point is that, in Italy, your only hope to do primary research is to do so with public money. And if you, Italian government, are the only hope, at least be straightforward. We have a saying in Italy: si stava meglio quando si stava peggio (“We were better off when we were worse off”), which is pretty stupid, but here it applies. At least with the previous governments we researcher knew we were personae non gratae and we left. 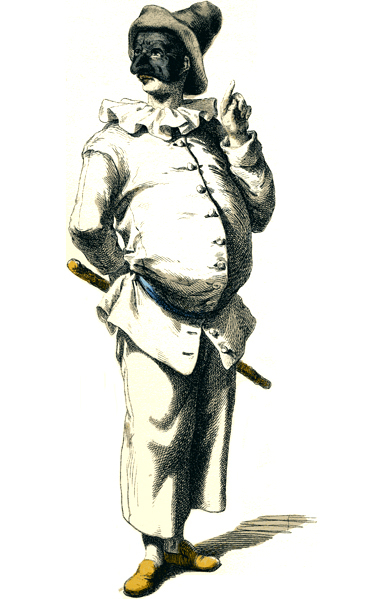 Now, instead, we are just part of a big commedia dell’arte. We are told we are important, we are welcomed to come back home, but once we get in from the door they throw us out from the window. No wonder Italy is lagging behind in innovation.